Many iPhone users tend to keep their messages without deleting them. They keep these messages because of the sentimental values the messages may have. In fact, some of the messages can be associated with precious memories. Some of the messages may contain pictures that are absolutely precious. In fact, there are millions of iPhone users across the globe who don’t want to delete their messages with photos from their iPhone. Well, most of these users want to know how to save photos from text messages on iPhone. The purpose of this article is to explain how to save all photos from messages iPhone. Can I Save All Photos from Messages to iPhone in iOS 12? The answer is Yes. Now, from this section onwards we will explain how to save photos from text messages on iPhone. We will emphasize a couple of options so you can pick the best method out of the rest. We will emphasize some basic options as well as a fully featured option to save all photos from messages iPhone. This, in fact, is a basic feature that comes in the iPhone itself to save multiple pictures. You can also save videos using this method. Here’s how to do it. 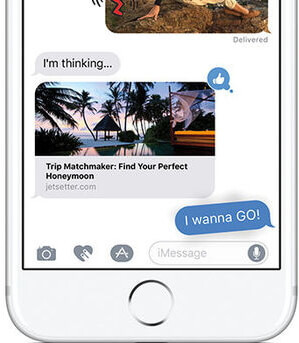 Go to the Messages App. Tap on the thread of text you need to save. Then, tap on the Details option located towards the top righthand side. Go to the Attachments. Press and hold on one of the pictures you are going to save. Now, tap on More option in the pop-up menu. Select the photos you need to save. Now, tap on the option called Save Images located towards the bottom left corner. As per this method, you will be able to save photos related to one conversation at a time. However, to save photos in multiple conversations, you should try other options we emphasize. This specific option works for a Mac only. Here’s how to do this. First, you should attach your phone to the Mac using a USB cable. You don’t need to use iTunes in this case. If iTunes starts, you should close it. 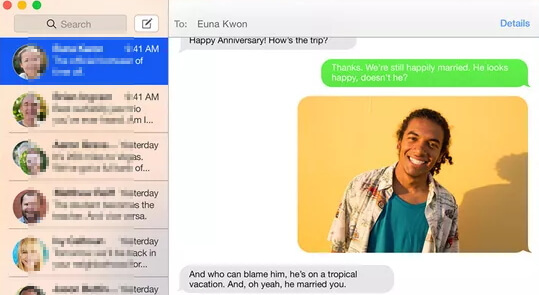 Now, open the Messages App located in the OSX and go to the message where your pictures are located. You should now open a Finder window. Then, navigate to a folder to which you will be moving the pictures located in your phone at the moment. You should create a new folder to move the pictures. Now that you have two windows opened (iMessage and Finder) all you have to do is dragging and dropping. In fact, this is a pretty easier process compared to the fist method we mentioned. 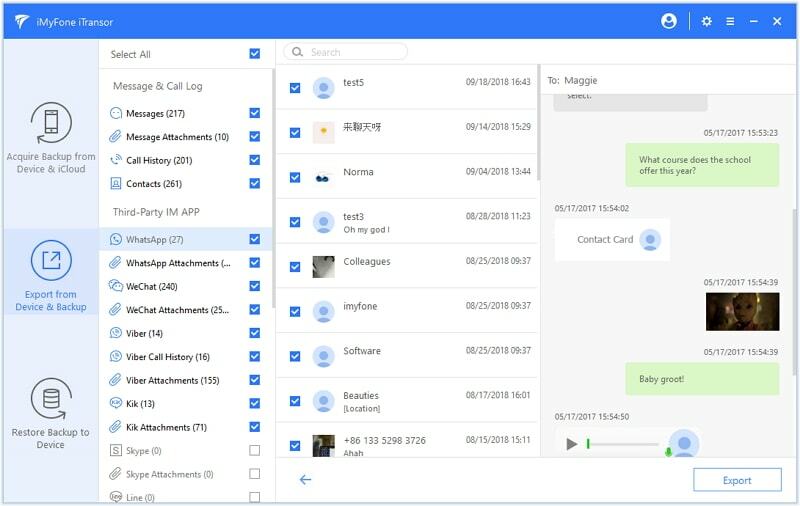 If you need to save all the photos from messages from iPhone to computer, you will need a professional software to help you. 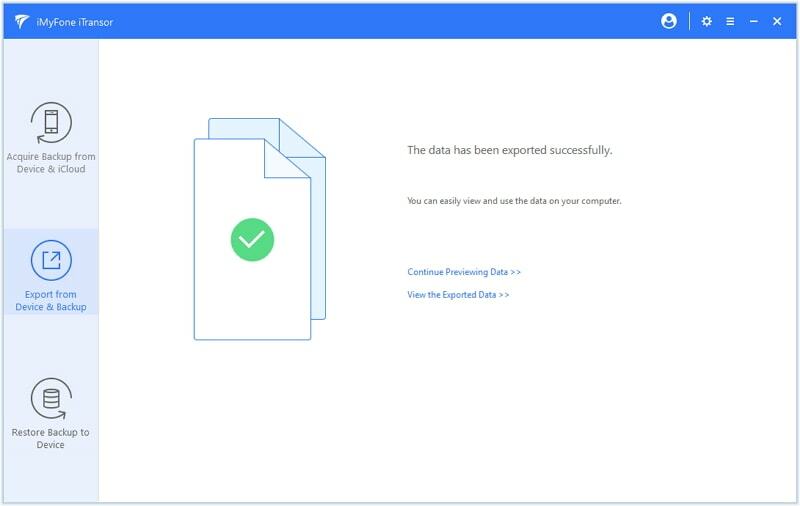 Here are the main features associated with the highly recommended backup and restore tool - iMyFone iTransor. It can create backups of SMS, Contacts and WhatsApp and WeChat contents easily & selectively. It is capable of creating backups without affecting the existing backups. It can help you restoring iTunes, iClouds or iMyFone backups selectively. This software supports more than 18 data types on iOS devices. It is compatible with latest iOS devices and iOS versions like iOS 12. 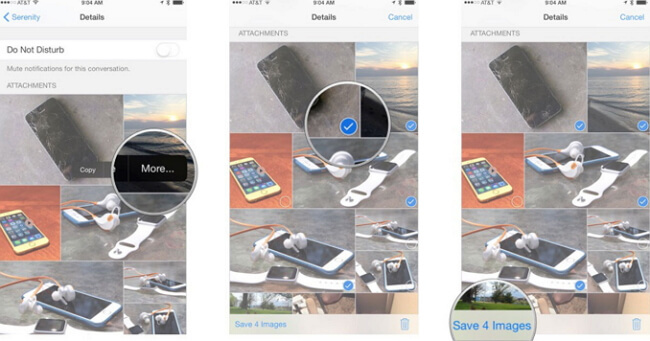 Here’s how to use iMyFone iTransor and save photos from Messages and attachments. 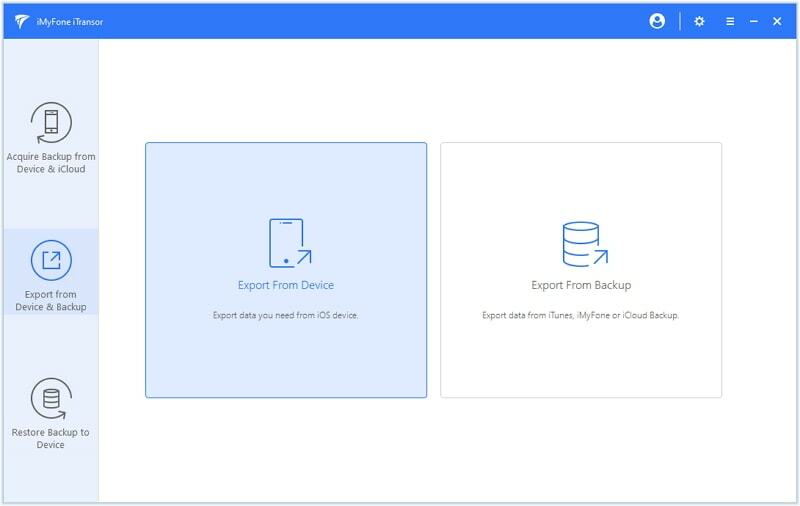 Select Export From Device & Backup and then go to Export from Device. Select the data type and hit Scan. Preview the data at the completion of the scan. Then select Export. 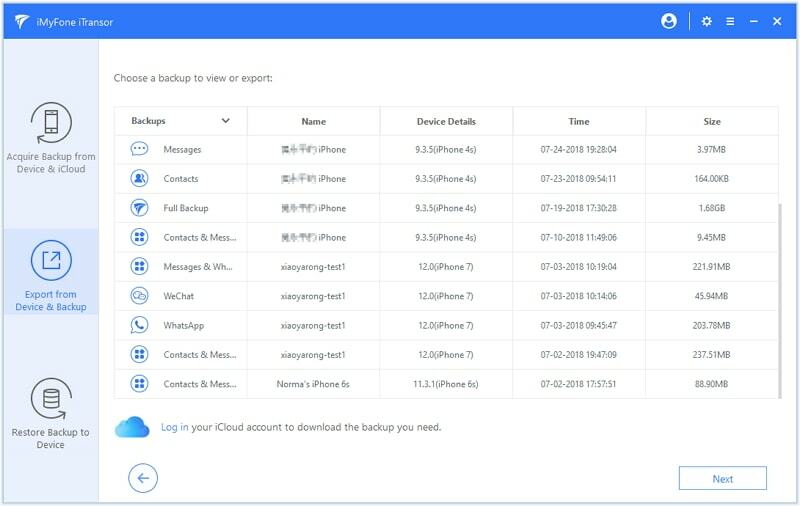 After launching iMyFone iTransor, you should to Export from Device & Backup. 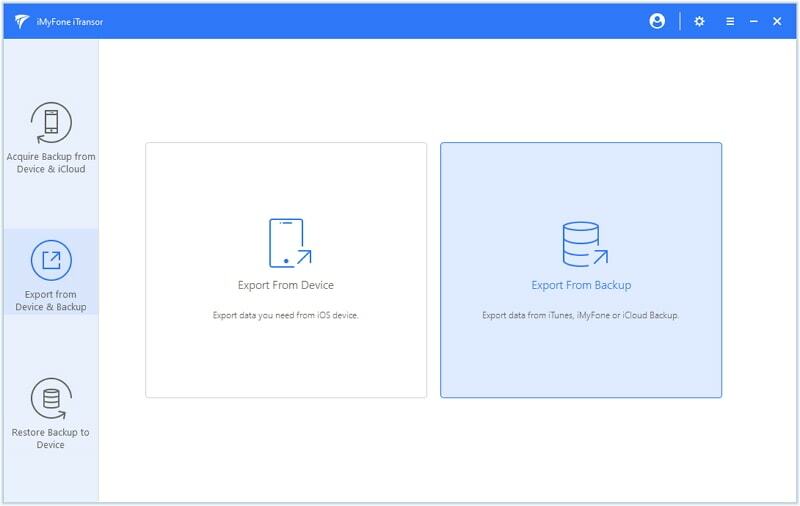 Then, go to Export from Backup. Select the backup you need to save to the computer and hit Next. Choose messages data type and click on Scan option to proceed. Once the scanning is completed, you can easily preview them. Now, the photos will be saved on computer. You can view them at any given time. 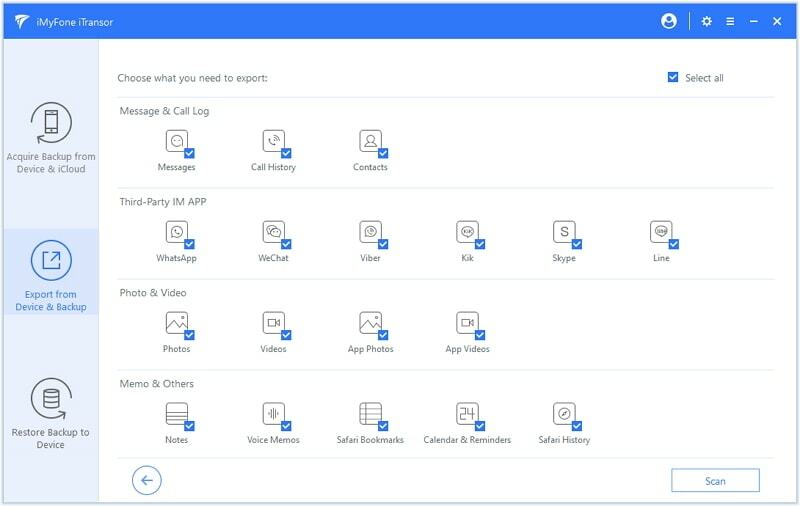 If you use a device that runs on iOS 12, you can try any of the above methods to save all photos from messages iPhone. We will appreciate it if you can leave a comment about your overall experience and your favorite method. Your comments and suggestions may help our readers a lot.